You’re tripping over toys. You’re wondering where on Earth you can store the big pack of toilet paper you just bought. You’ve exhausted the “organization for small spaces” search on Pinterest. You’re crammed in your living space! I feel your pain. Space is tight for our family right now. We are living in our 28′ RV and I’m not really sure how I have made it this far without going crazy. Just thinking about dragging out art supplies AND figuring out how to store them makes me anxious! One of my biggest “things” about choosing to homeschool our kids was the fear that I would drop the ball in the area of fine arts. Specifically, art. Art really isn’t my forte (unless you count stick figures) and with barely room to store a paint brush, I just wasn’t sure how we would pull off art. But the fact of the matter is—my kids love art. They love to draw, paint, stamp and they LOVE to build things with clay and play doh. So, skipping art just isn’t an option for us. We NEED art in our daily lives. It’s important for development and creative expression. I’ve learned some tricks to making sure the kids are able to do art, even though it feels like we are living in an episode of “Tiny House, Big Living”. Related Post: How We Downsized Twice in 1 Year (and survived)! The key to doing art in a small space is to be prepared. If you are doing art indoors, make sure you prepare your space as well as you can, so your clean up is easy. I use these rolls of paper to keep the table from being painted, stamped or drawn on. It is great for rolling out over the table, and taping down to the sides. Then, when the art activity is done, it gets rolled up and thrown away! Even better, the kids can use them as a huge paper to paint, draw or stamp on. No worrying about a bunch of individual sheets of paper, and it gives plenty of space for all the creative expression you can imagine! Staying organized (as much as you can!) is also helpful when you are trying to do art in a small area. Clear plastic bins are a life saver when you are trying to store art materials in a small space. Another great tool for a small art space, is a table-top easel. These can be used pretty much anywhere and can be stored away when not in use. Weather permitting, we take our art to the great outdoors. The kids take the lead and they decide what they are doing and how they do it. What they create is up to them. The great part about doing art outside, is that there is virtually NO MESS to clean up! Another awesome thing about doing art outside, is that you can find art mediums in nature! We found this awesome red clay after our septic tank was dug. The kids thought it was amazing that they could mold it into different shapes! What kinds of things can you find in nature to use for art? Sticks, rocks, leaves, flowers. The possibilities are endless. And what a great way to combine nature hunts with art! 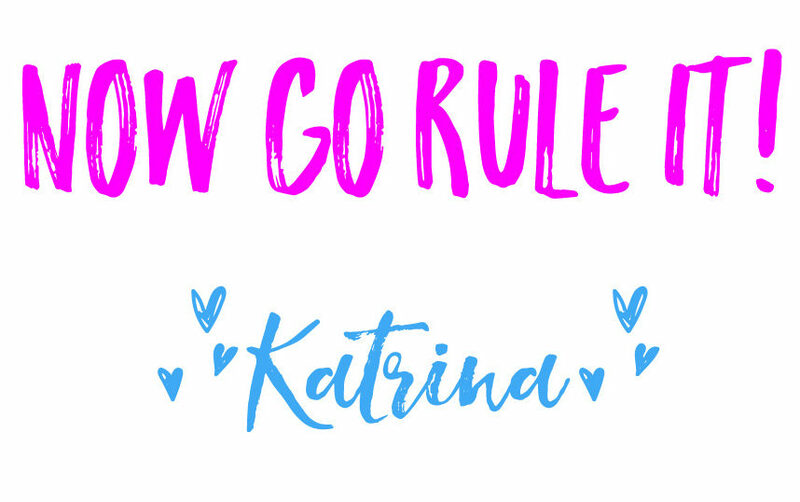 When I heard about Masterpiece Society through my blogging network, I was so stinkin’ excited to learn more about it! In the past, we have pieced together some drawing videos on Youtube, but what I loved about the idea of Masterpiece Society was that it was complete lessons, from drawing all the way to mixed media and more. My daughter can literally log in to our account on her own and begin her instructional videos. I don’t have to search on Youtube and figure out what we have watched and what we haven’t watched. I don’t have to worry about some inappropriate commercial popping up midway through the art video, either. There are literally dozens of art lessons when you become a member of Masterpiece Society. 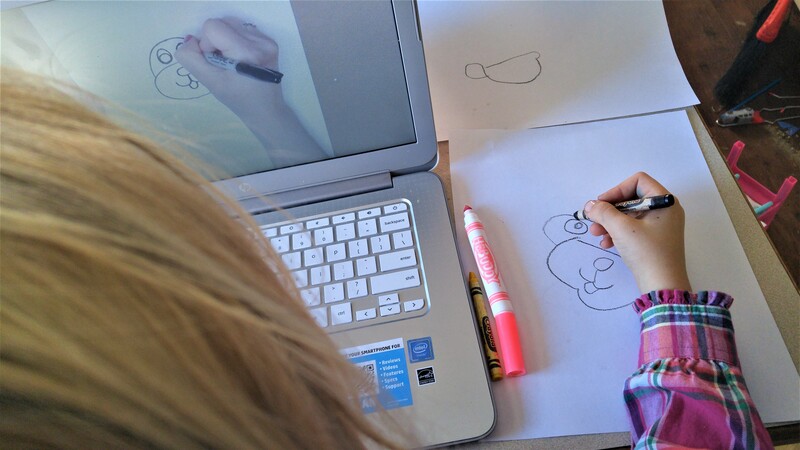 There are lessons for drawing, painting, mixed media and so much more! Once my daughter got started, I literally couldn’t get her away from the computer. 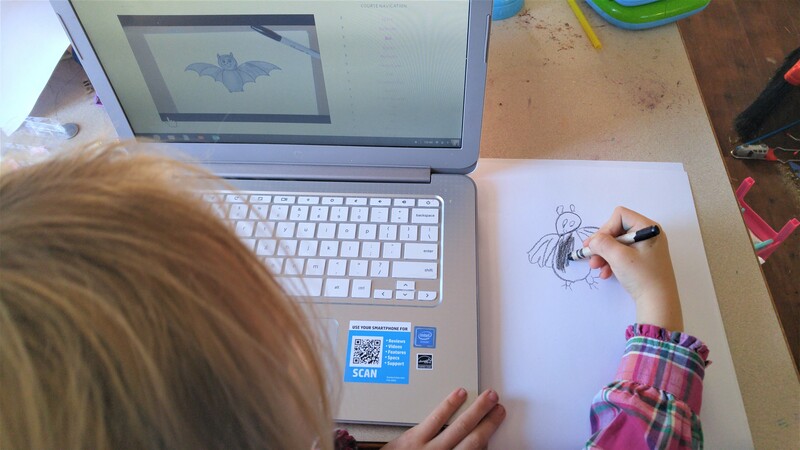 She grabbed her paper or sketch notebook, sat down and watched video after video, relishing in the beautiful drawings that she created on her very own! 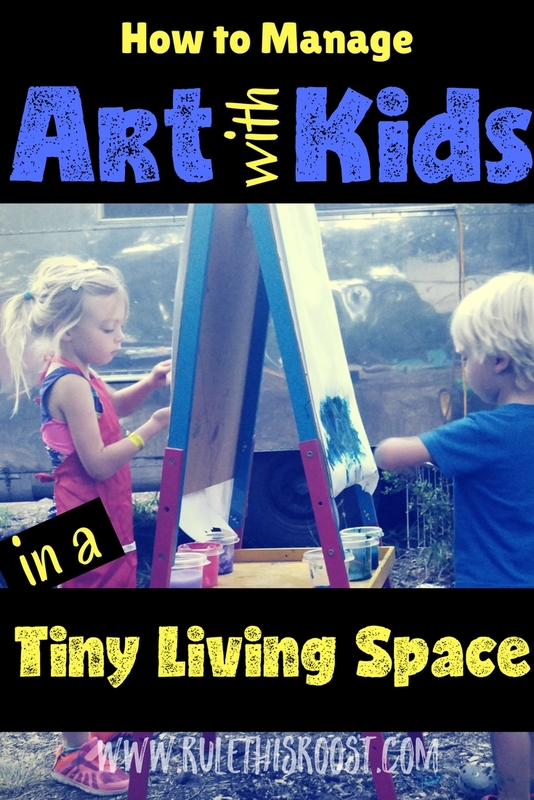 While we live in our RV we are going to stick with the drawing courses, but as soon as we move, we are diving into the painting and mixed media. You will be absolutely blown away by the step-by-step instructions in each video and the end-product. 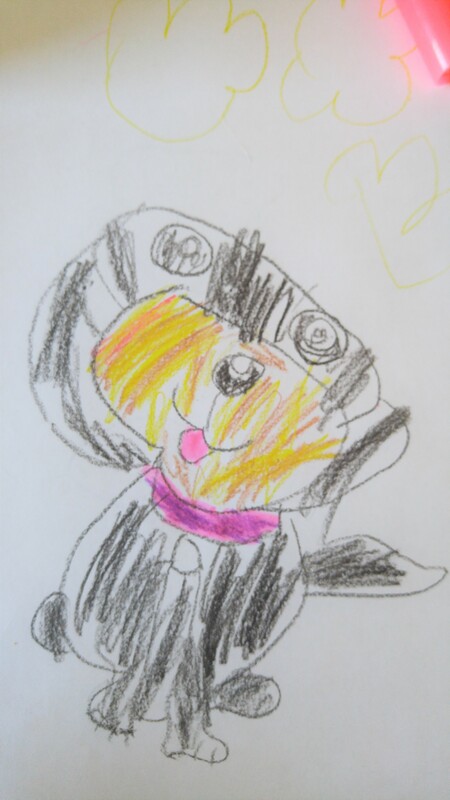 Click on the picture below to get your FREE art lesson from Masterpiece Society! 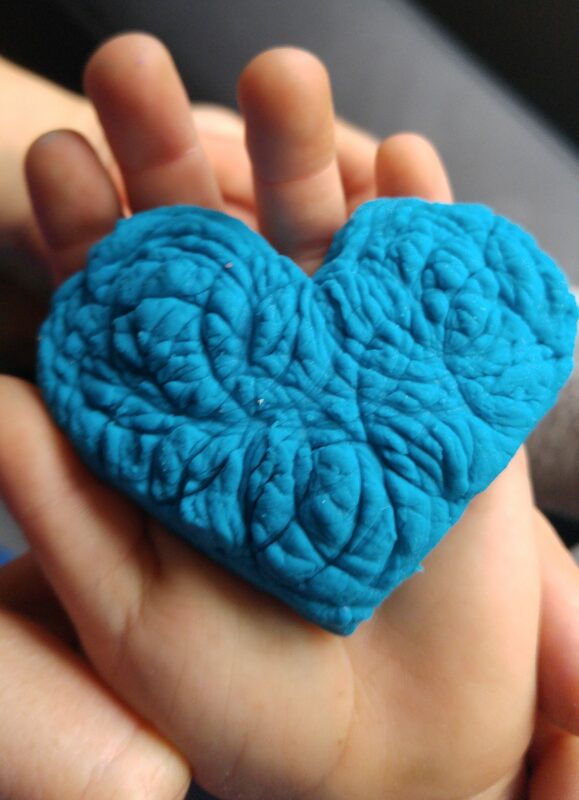 Not only is play-doh loved by every kid (and adult) on the planet, it’s clean up is soooooo easy. 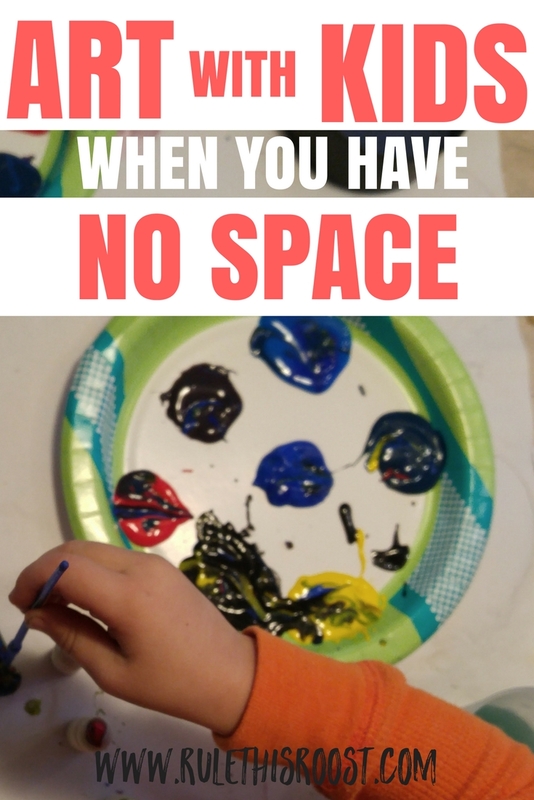 It doesn’t take up a lot of space to store and kids don’t need a lot of space to play with it and create! 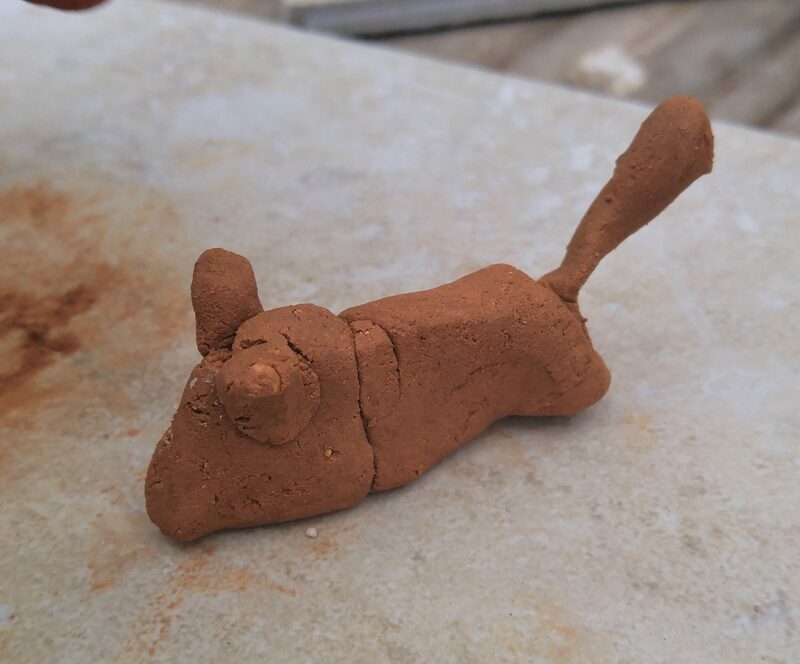 We have clay and my kids LOVE to use it for their art creations, but it just isn’t feasible to get it out every day. 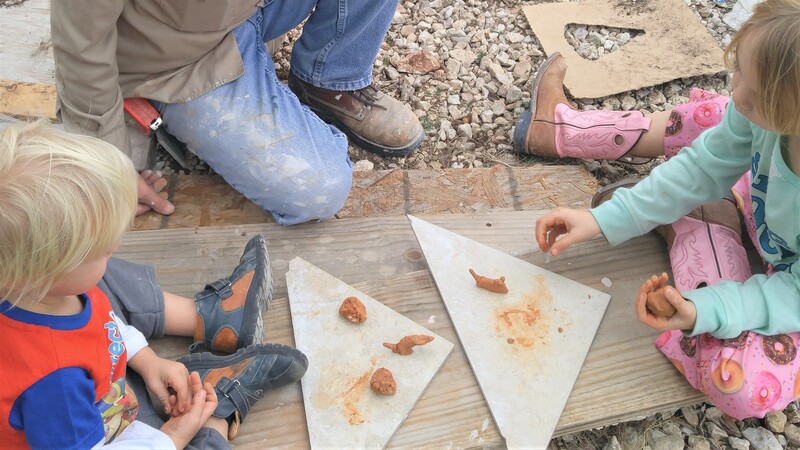 To use it, the RV table has to be completely cleared off, wax paper has to be put down and cups of water for fingers are needed to keep the clay usable. Not to mention, the clay container is HEAVY and is stored tightly in an overhead bin! 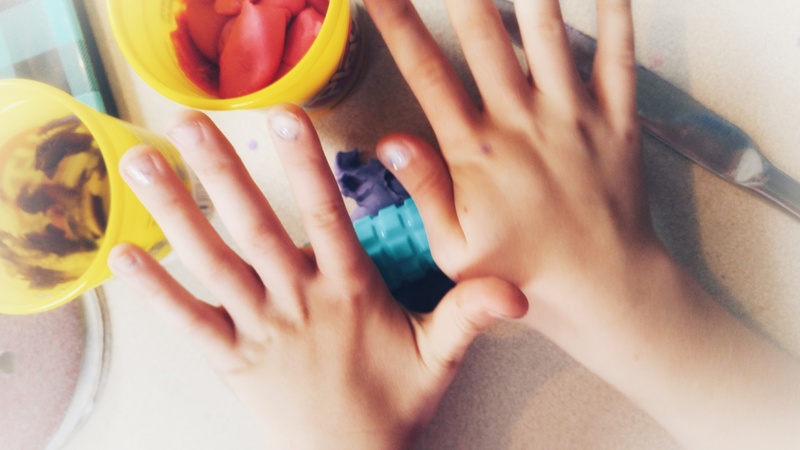 So, we stick with our old faithful– Play-doh. Making art work in a small space isn’t easy. In fact, in can be downright frustrating when you’re not even sure where you’re going to put the clean clothes you just folded. Our RV is still a mess of art supplies, don’t get me wrong. I’m not sure we can be entirely organized with only 200 square feet to work with. But, art is an integral part of childhood development and can’t be neglected. 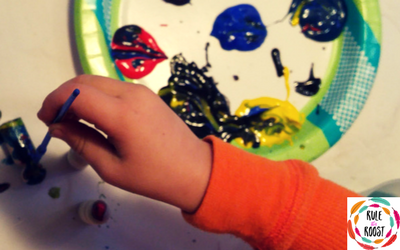 Get outside, get online or grab the play doh and let your little ones get creative! How do you make art work in your small living space? Comment below!